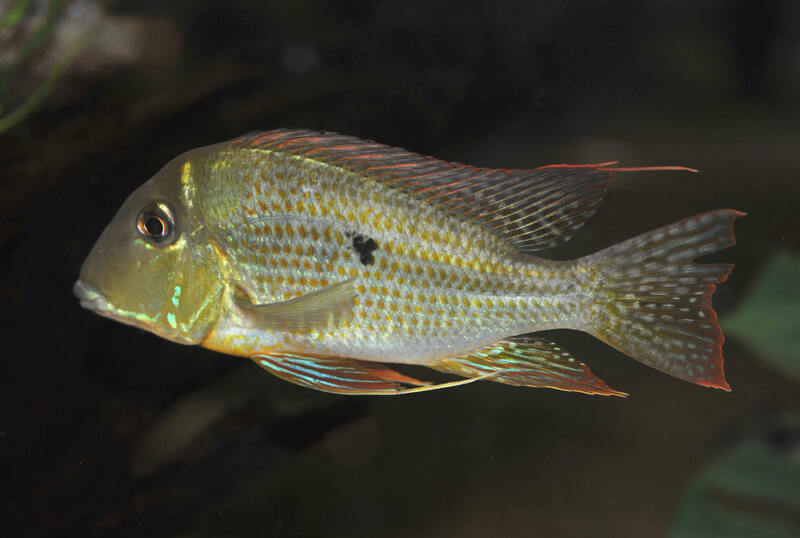 Geophagus jurupari (Heckel 1840), Jurupari, Demon Eartheater. To about seven-eight inches. South America: Amazon River basin. 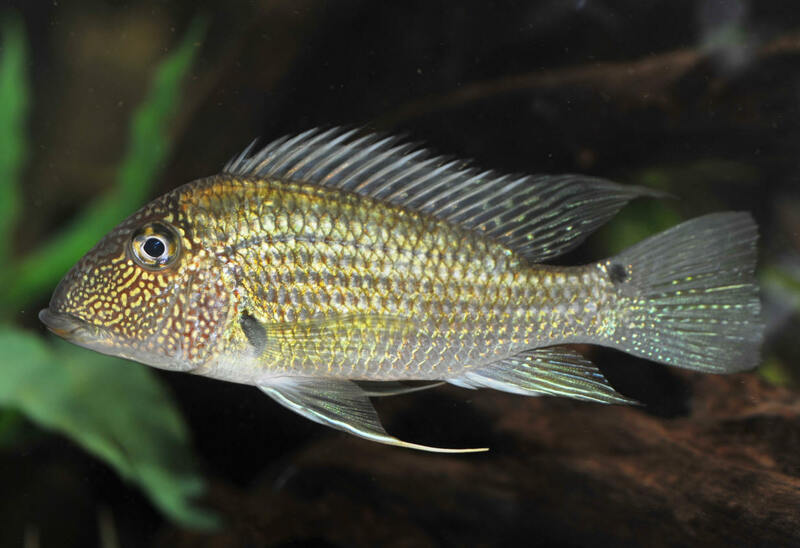 Geophagus surinamensis (Bloch 1791), Surinam Eartheater. To six inches in length. South America: Saramacca and Suriname Rivers in Suriname; Marowijne River in Suriname and French Guiana. Barbodes schwanenfeldii (Bleeker 1853), the Tinfoil (or Goldfoil to science) Barb. A standard in the aquarium interest though way too often misplaced in a too-small setting. To nearly fourteen inches maximum length. 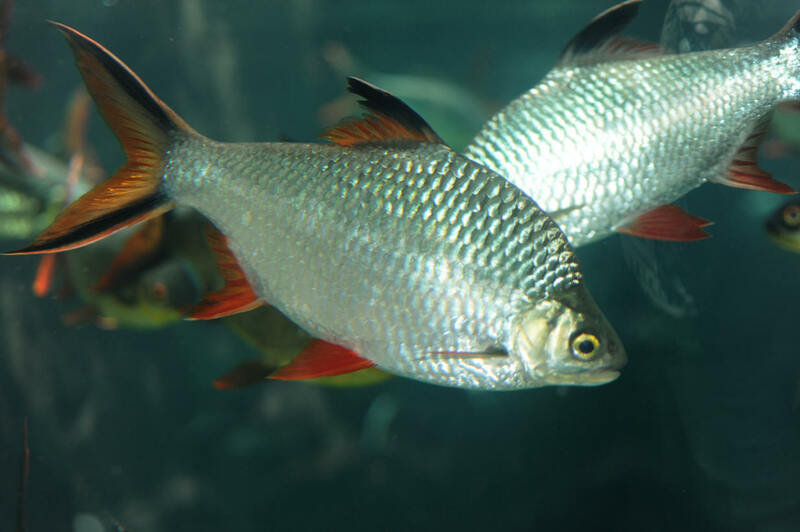 Individuals with reddish dorsal and caudal fins are of this same species. Bedotia geayi Pellegrin 1907, the Red-Tailed Silverside. 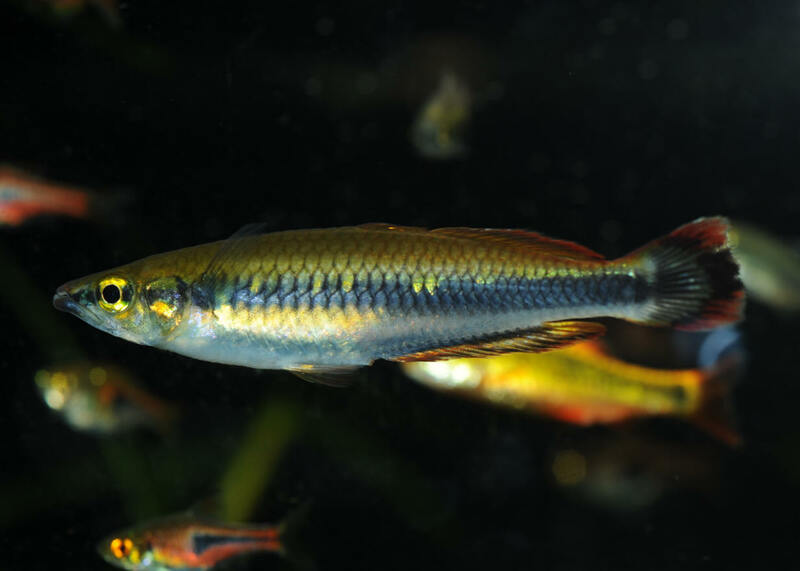 One of the more popular "Rainbowfishes" from eastern Madagascar. Conditions: pH 7-8, dH 9-19, temp. 20-24C.